When did you last do something for just for you? This year the Self Care Forum’s Self Care Week runs from Monday 12th to Sunday 18th November and the theme this year is Choose Self Care for Life. 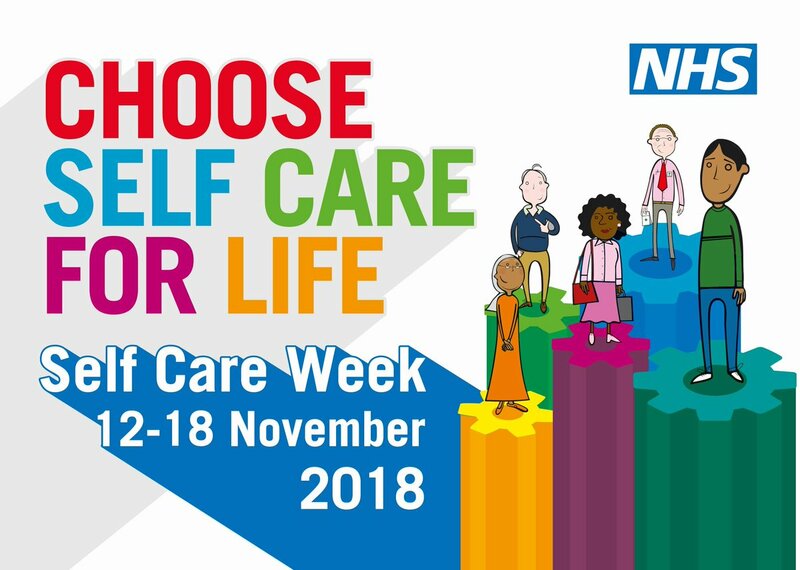 There is a growing demand on health care services in England and so this Self Care Week One You Hounslow wants to highlight how all of us can do more to look after ourselves more through self care. It’s very important to be aware of and look after your own health needs before looking after anyone else. Self Care Week is an annual national awareness week that focuses on embedding support for self care across communities, families, and generations. This week is a great opportunity to become more aware of what services and resources there are there are available to be able you to take more care of your own health. Some great resources can be found on our ‘Checking’ page. Self care is ‘The actions that individuals take for themselves, on behalf of and with others in order to develop, protect, maintain and improve their health, wellbeing or wellness.’ (Source: Self Care Forum) One You Hounslow very much supports a self care approach to health to enable people to look after their own health as much as possible. All too often many people forget about self care and go immediately to see their GP rather than first trying to work with conditions they have through self care: ‘Research shows that people often abandon self care earlier than they need to, typically seeking the advice of a doctor within a period of 4-7 days’ (Source: Self Care Forum). Many individuals visit their GP for medications that they could easily obtain over-the-counter for themselves. People often feel that the GP is the first place that they should go to when they feel unwell. However, with many illnesses like the common cold a pharmacist is often able to advise you about suitable medications there are for the symptoms you are experiencing. This helps to reduce the pressure on GPs as there is currently more demand than ever for GP appointments. If you are feeling unwell or if you think you may have a certain medical condition a very useful resource is the NHS Health A-Z. The NHS Health A-Z is a comprehensive list of medical conditions with reliable information that provides an overview of each condition, tells you about symptoms to be aware of, looks at causes of the condition and then informs you about diagnosis and treatment of the condition. Drinking – the Drink Free Days app and Drink Checker tool are on our Drink Less page. Eating – There are details about our FREE Cook and Eat sessions and the Easy Meals app on our Eat Well page. Smoking – If you are ready to stop smoking you can find details about our weekly stop smoking clinics or download the NHS Smokefree app on our Stop Smoking page. Moving – If you would like to be more active then you can download the Active 10 and Couch to 5K apps or look for a local activity on our Activity Finder all on our Move More page. Lastly, if you would like to talk to a health advisor about how you can improve your own self care and see how you can implement healthy habits into your life then call us on 020 8973 3530. Alternatively, you can e-mail us at oneyou.hounslow@nhs.net or register online.